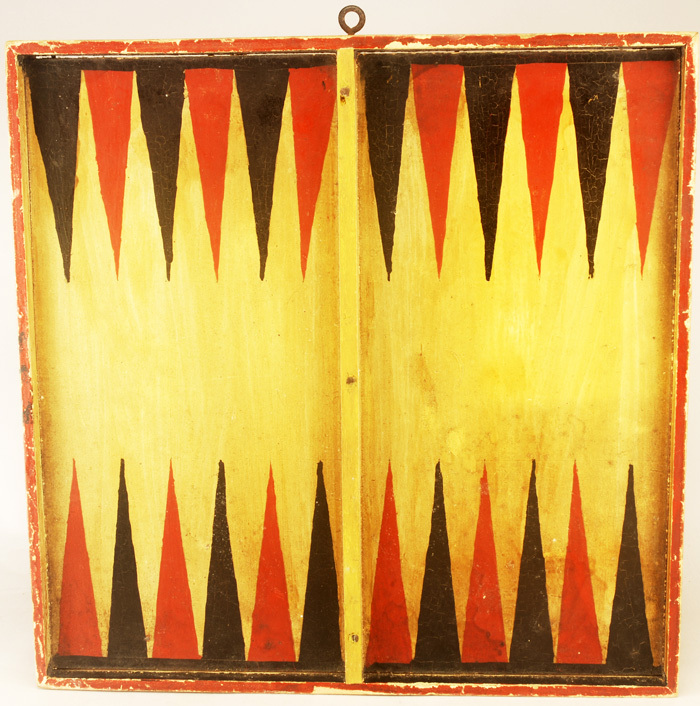 RJG ANTIQUES, Rye, NH russ@RJGAntiques.com 603-433-1770 Mustard decorated 2-sided backgammon gameboard. New England, circa Late Nineteenth Century. A clean, dry, untouched 3-color gameboard with applied molding and square nail construction. Good checkerboard on back. This backgammon board was never hinged as most are; it is a one piece board. 14 1/2" x 14 1/2".